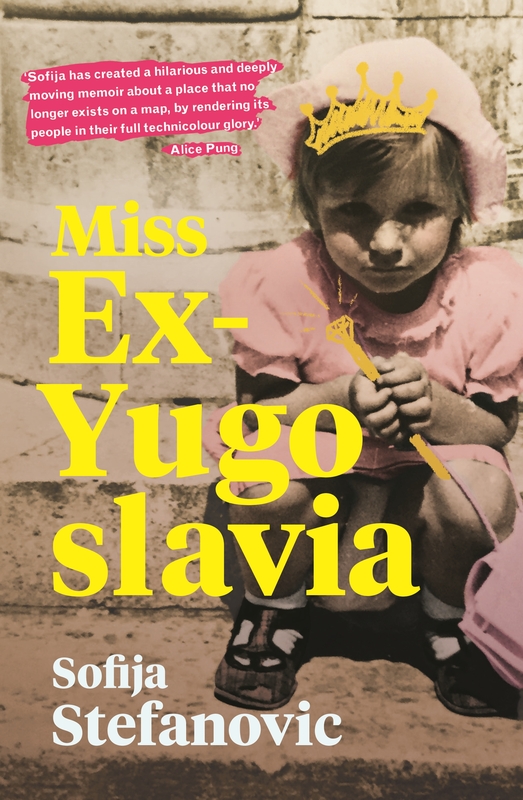 Can we start off by discussing the first chapter of Miss Ex-Yugoslavia contest – why start there? What was it with that particular memory that stuck out for you? I think that it encapsulates the community that I’m part of here in Australia, the ex-Yugoslavian diaspora, which is a strange and wonderful community that I’m part of. I think that I liked that about it, I thought it was a really good way to get a little glimpse into the community. But really the rest of the book is pretty straight-forward linear. It was a decision that was there from the beginning and I liked it. Starting off with your birth – how’d you go about weaving that part of your story, because obviously as a baby you might have a photographic memory but probably don’t remember the specifics. Was that based upon conversations? Yeah, with my mum that was based on conversations with her and that was actually a really fun bit to write, which made me think that everything else is reliant on my memories and I’m a bit hard on myself sometimes for not being able to remember exact moments. But, that part, I had a lot more licence because it was based on someone else’s memories and I could be a bit creative and I could look up what Yugoslavia was like back then. That chapter serves to show the world in which I was born in, socialist Yugoslavia in the early 80s. I was born in the middle of a black-out, there were designated shifts for cars to be on the roads and my parents car wasn’t allowed to be on the road at that particular day. So they had to get someone else to drive. I guess, I liked the idea of that and the drama of it and because I was sort of there, but not really in a conscious way and it made it really fun to write that, about what the place was like at that time. In terms of writing the rest of the story, did you feel that you were drawing on your own memories and that that sometimes conflicted with those of the other people present for them, such as your mum? I did definitely draw on a lot of my own memories. That’s one of the beautiful things about memoir and getting to write from memory and growing those memories a little bit. Because it’s not like a news documentary, it’s not a fly-on-the-wall documentary, it’s based on my memories. I think a lot of those things are things that I might have augmented or forgotten, but I think it was an interesting exercise, to see which bits stood out and trying to nut out who I am based on these memories. It was really interesting process, writing it, because each chapter I knew that this is the part of my life where these things happen and then I’d put on some music and try accessing the memories from that time and remember smells, or tastes, and all these memories would come back. What was it that brought you to writing a memoir? Why at this junction in your life did you want to write it? I’ve always thought about my childhood a lot and told stories from my childhood and I think I didn’t quite realise until I was a bit older that it might be interesting for other people to read as well. I had always written, but I had never written much about my own life. So when I moved to New York a couple of years ago, I went to a Moth Story Slam – they do story-telling shows. I went to this show and you put your name in a hat and then they draw it out and you have to tell a story, a five minute story. I thought that – here in Australia, where I’ve grown up, I’d be too embarrassed to do that. I’d be too worried that there’d be people that knew me in the audience, or in some ways I’d sound like an idiot. But in New York, the cool thing about that place is everyone does what the hell they want and no one cares, and no one bats an eye if you do something crazy. So I thought I could get up on stage and tell a story, so I did and I thought it was pretty cool that these Americans, who were strangers, were so interested in hearing stories about a Serbian kid growing up in Australia. So I thought that that might mean that people do want to hear about what I have to say and I gained a bit more confidence with writing about it. What sort of pitfalls or challenges did you find when writing this book compared to your other work? Did you find it cathartic and easy or was it at times really difficult? I really love the process of writing, the process is really rewarding to me. I’m kind of introverted and I really like being at home and thinking about writing in my own way. I guess that it’s not really a pitfall but now that the book is out, you feel so vulnerable, it feels like I’ve taken a part of myself and sent it out into the world and all these people are reading it. It’s a very vulnerable process as well. But the highlight was definitely the actual writing and being there with these memories and crafting them into a story, or a series of little stories and now I’m dealing with the fact that I’ve written a book and people can read it. You’re very open throughout the entire book, but was there any memories that you omitted, maybe having written it at the time and then decided later it was too confronting or personal or private? There were lots of things that I had to omit, just for length. It’s a shortish book but it does cover 18 years of my life. So you really have to pick and choose. I’m sure if someone else was writing it that they would’ve done it differently. The book features my family, it’s got my mum, she’s a big character in it. I’m sure if she wrote her own book about that period it would be completely different. That’s the interesting thing about memories. It’s so interesting about what you hang onto. For me, there are certain themes which I think are really important – issues of belonging, or not belonging, trying to fit in, being an immigrant, trying to become a writer and an artist and finding my voice, having English as a second language, stuff like that. There are particular issues that I’m interested in and I guess writing about that time I will always highlight those memories that have to do with that. But of course, so many other things happened and so many other people don’t get a mention in the books. Or events. Otherwise you just can’t do it and it would be a pretty boring book, you wouldn’t be able to give enough attention to everything. Did you find then that the story change quite a lot throughout the process? There are stories in there that have occupied me my whole life, that I’ve told over and over and over again. I think that this book for me was kind of dealing with these questions that I had asked myself for a long time, it was about how someone is an immigrant kid in Australia grows up and manages to become these things that she dreams of, considering the ideas I had about myself and that other people had about me. As I learnt things as I went along, it did a change a bit. But I did have a pretty solid structure from the beginning, because that’s one of the rewarding things about writing about real life is that things have happen and you just follow the path of your life and the stand-out moments in it. A lot of things went, a lot of things stayed – I had a pretty clear a pretty precise structure. Did you feel that there was a sense of accountability, of ‘getting it right’? Yes, but then I had to get rid of those thoughts, because you can’t ever get it fully right. It’s just your own version. You can only write from your experience, you have to let go anything else. Because it’s really hard not to. At the same time, this sort of non-fiction has conventions and constraints that make it comforting. With fiction you can write anything in the world, whereas with this, you are writing and describing certain events in a certain time period and to me, it gives me some sort of containment. You do discuss the historical events, but how’d you find blending that into your own narrative, without suddenly transforming it into this straight-up historical account? That was actually really complicated. The Yugoslavian wars did take up most of the 90s and they cast over a shadow over my childhood, but I was growing up here in Australia and we weren’t there and there are plenty of people who were and who have written their accounts of it and academic texts about the war. So I’m not an expert on the war, but I couldn’t leave it out because it had such a big impact on my life, being Yugoslavian and having Yugoslavia falling apart. It was very hard trying to balance that, it’s a very personal story but there’s all these important historical things going on. The way that I realised that I had to do it in the end, was just to have it in my lens, in the way I saw it, in seeing my parents, watching the news and working out what that meant. At the beginning I did consider writing something that was more of a sweeping account and about the experience of all people that came from the former Yugoslavia but I realised that wasn’t my strength, my strength is from writing my personal account. Hopefully that’ll be enough for people to read mine and then want to go out and research what happened more. I wasn’t an expert in the war, but I think I was an expert in being an immigrant kid growing up in Australia. Do you think if you came as an immigrant, as a child now, to Australia it would be a totally different experience to that which you had? I’d be so curious. I think that’s a really good question. I’d be so curious to find out, because I really don’t know the answer to that. Still there are so many issues to do with immigration and immigration is such a hot topic in Australia and there are so many people that oppose immigration. Same with America, where I live now. It’s really interesting to consider how things have changed and how they have stayed the same. I’m really not sure. Did you read any other autobiographies or memoirs maybe not to draw to influence from, but to maybe get an idea or a bit of a framework? Mary Carr wrote a really interesting book about it called The Art Of Memoir. It’s really good, she has some really good tips on how to access memories and some suggested rules to impose on yourself when writing. I found that useful. 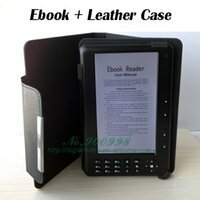 But I didn’t read too many books that were similar. Not because I was worried about being too influenced, but because it was nice to have a break during when I was writing my book, to read completely different things instead. But I think reading is really important and I also love meeting people who are interesting writers. I live in New York and get to meet all these really interesting people and be inspired by them and hear about their work ethic and stuff like that. What was the process for it? You mentioned listening to music before and sort of drawing memories from that? I had chapters, but I also had stream of consciousness mass of memories and words and not reading over it and then have a break for a couple of days and do something else and then coming back to it and putting it into a neater, more structured format. I was pretty disciplined like that and did it all the way through. What about your own influences, maybe not necessary people that have written memoirs, maybe some favourite fiction authors? I love Chekhov, out of his short stories. I like Alice Monroe and Flannery O’Connor, I like Elizabeth Strout. I love some interesting contemporary writer like Min Jin Lee of Pachinko,she launched my book in New York. She’s so inspiring as a person to talk to about writing. I love her. I also find lots of inspiring people from where I host a literary salon called Women Of Lettersand I host another event called This Alien Nation where we ask people with immigrant backgrounds to tell stories. When I was a kid, I wish I had role models of people that had English as a second language and I couldn’t really find them in Australia then, I’m sure they were around, but I couldn’t find them. I don’t think I heard those voices. So the point of This Alien Nation is that in our current world, where immigration is such a hot topic and there are so many people who oppose it, I think it’s important to hear individual voices of immigrants, rather than just hearing a buzz word like ‘immigration’ and then a sound-bite about it. If you hear individual stories, your knowledge grows as does your compassion and empathy. I like the idea of asking people to tell stories, they don’t have to be about how they came to be here, they can be anything just about immigrant life. I like that and I hope that there are more and more writers that are just telling their individual stories it makes those of us who aren’t immigrants curious and open. Do you think that giving a platform like this to immigrant authors can put a face to an idea and maybe even bring about societal change? I think so and I think that’s the best way to look at it. I think anyone who hears a story and identifies with it – it’s going to be that much harder for them to then say ‘that person isn’t allowed in our country’. I do think hearing immigrant voices like that are important to try changing that. If you could go back, in time, and say something to your childhood self, what would you say? I’d give her a little confidence boost and then I’d give her a little hug.